Boris Wild has proven for many years that his marking system is unbeatable when it comes to locating a card quickly. With our Phoenix backs you are getting into a new League of Speed! The Boris Wild Marked Deck is specifically optimized for locating one or several cards fast in a well shuffled and spread deck. You will be surprised at how fast your speed will develop in finding selected cards. Available with red backs, either with Standard and Large Index. 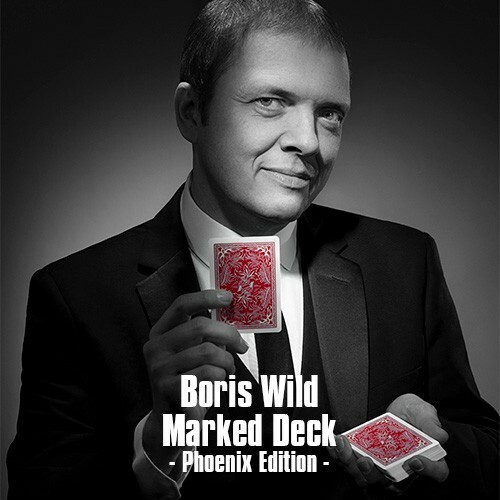 Also you receive an online instruction booklet as well as a free bonus effect from Boris' DVD-Set "The Boris Wild Marked Deck Project".